I've been saving this picture for a rainy day. It turns out I needed it on a snow day. It's something I've done once before in the test phases but there is no record of that. 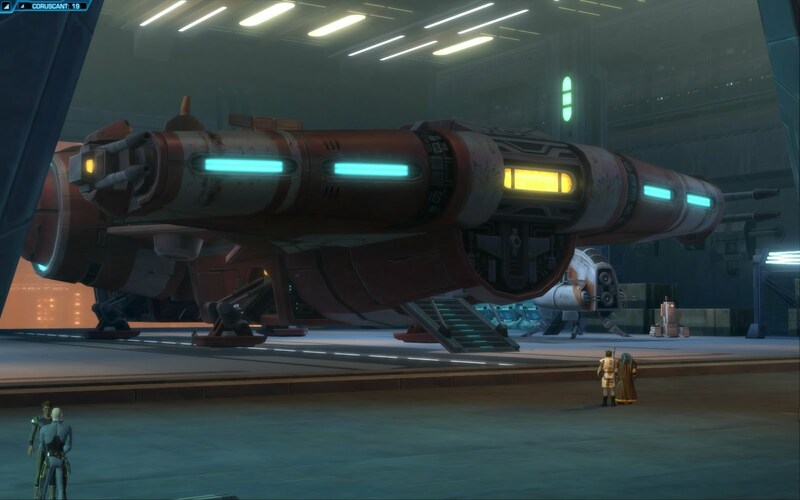 In The Old Republic I've reached the point where my character now owns his own spaceship. Of course this is slow compared to many of the people who are level 50 already but I've been playing other things too. That's a shame, that there's no record of your achievements in testing, but congratulations on getting your own spaceship for the second time.